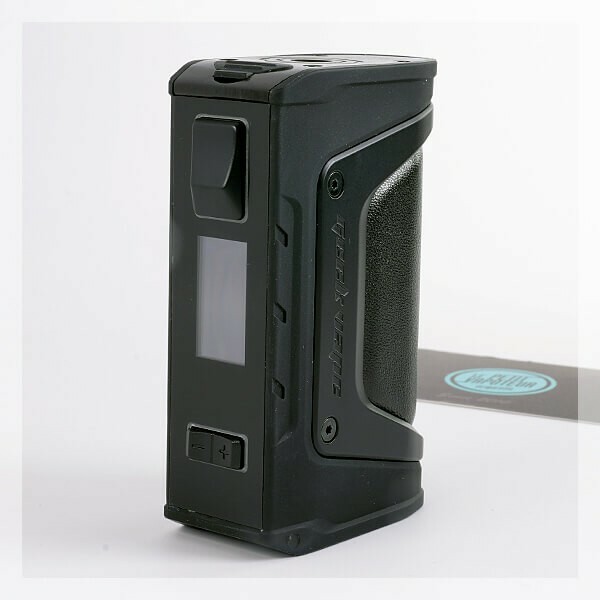 The Aegis Legend 200W TC Box is a double battery (18650) Mod by Geek vape. 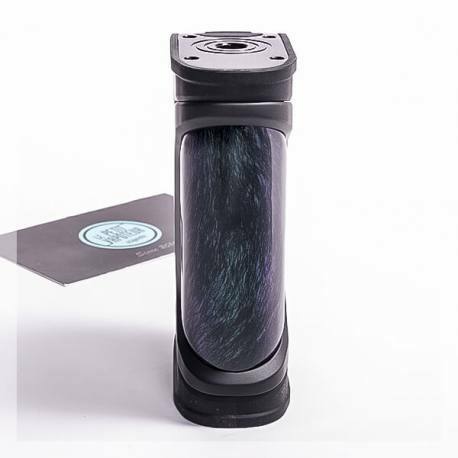 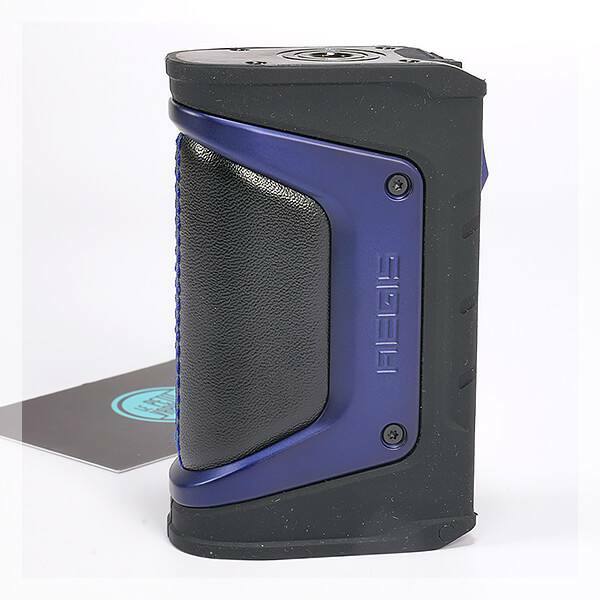 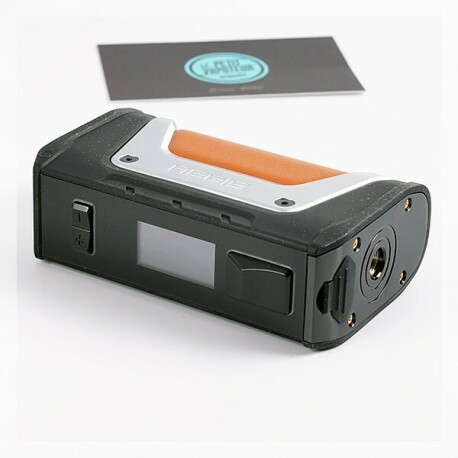 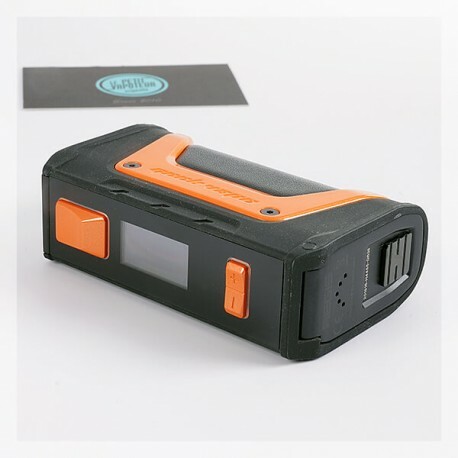 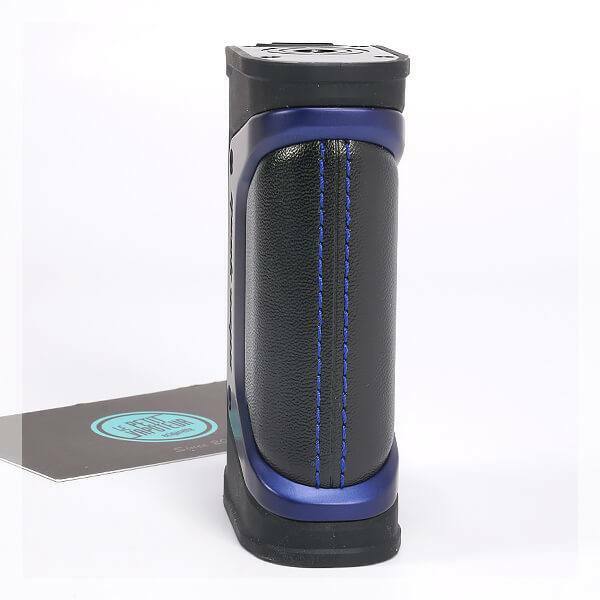 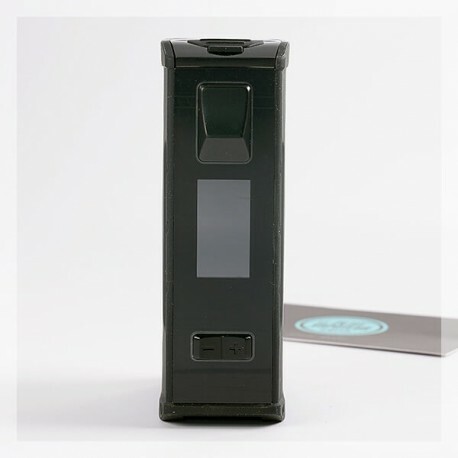 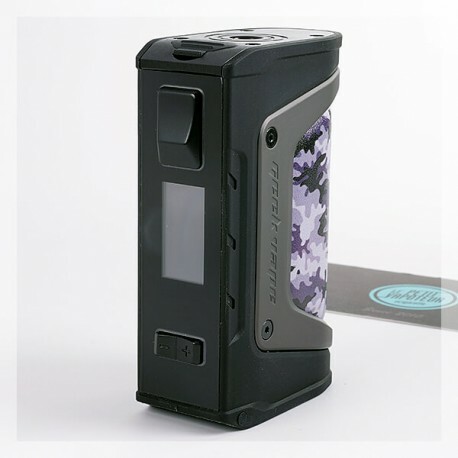 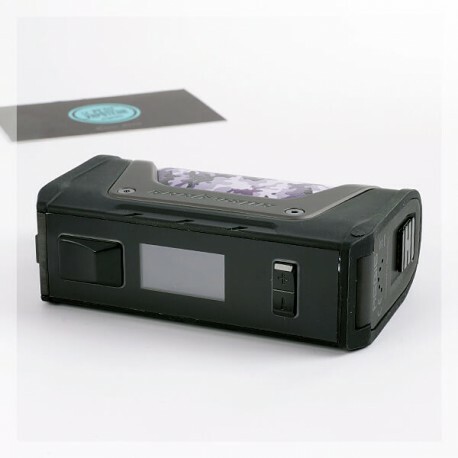 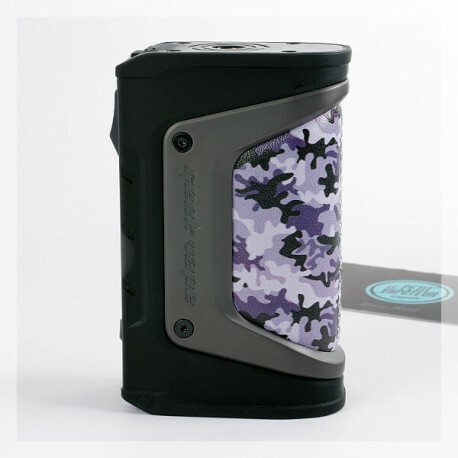 Successor of the famous Aegis Box, the Aegis Legend Box is an Electronic Mod which remains resistive to shocks, to dust and is waterproof. 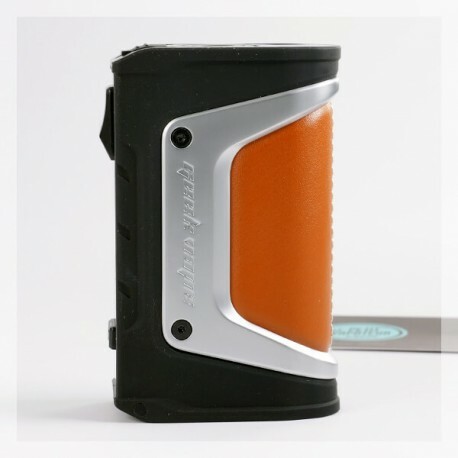 With an output power of 200 Watts, it is dotted with Temperature Control, the Aegis Legend 200W TC is polyvalent. 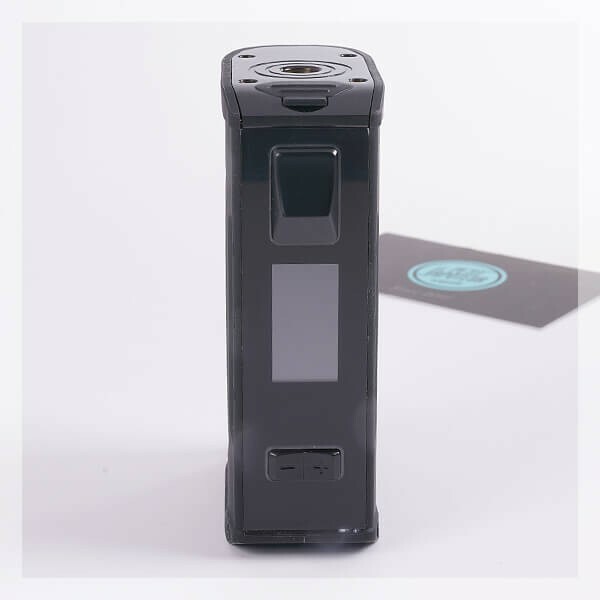 With 2 x 18650 batteries it offers excellent autonomy. 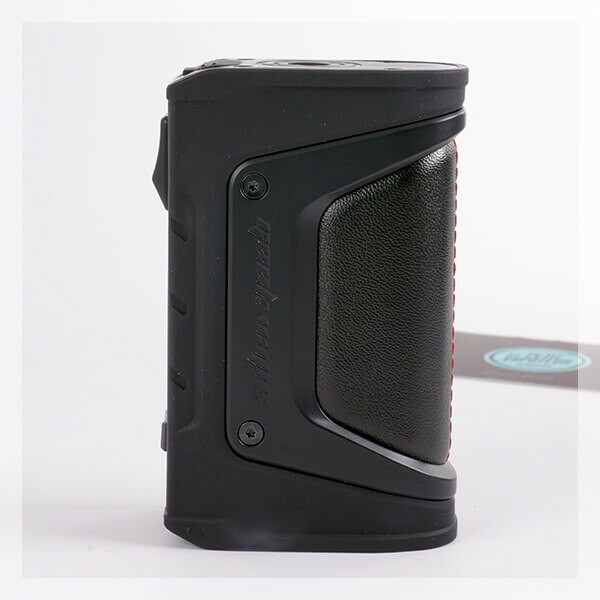 It remains ergonomic gracious to the design and drawn line to vape in all circumstances including the most extreme. Signed by Geek Vape! 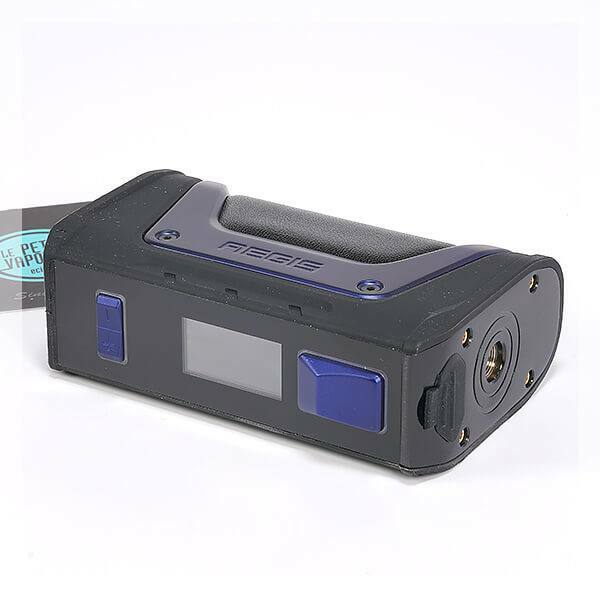 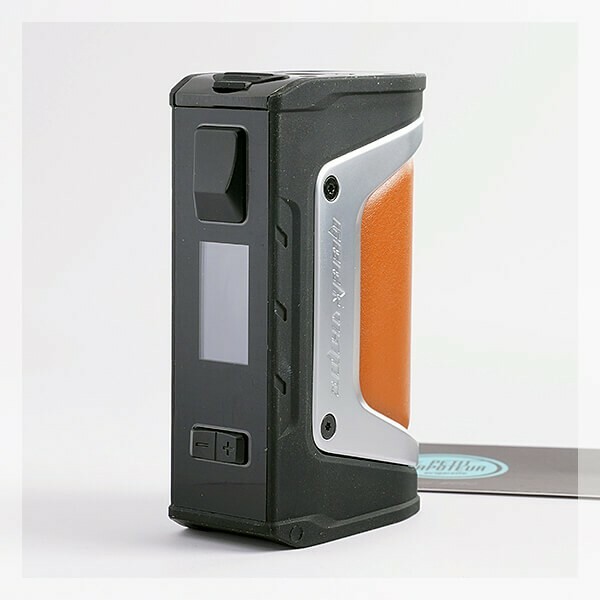 The Aegis Legend 200W TC Box is made by Geek Vape. 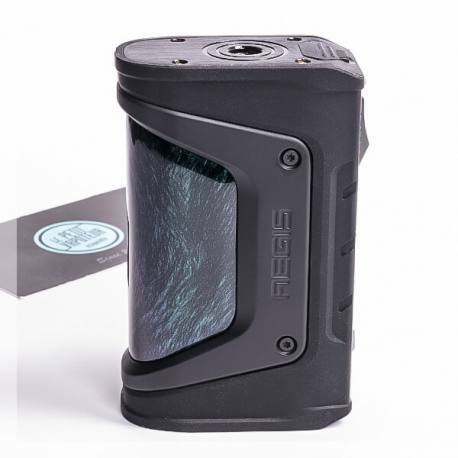 Elegant, designed to resist water, dust and shocks, the Aegis Legend 200W TC Box is compatible with the 18650 batteries (non included) to have more autonomy. 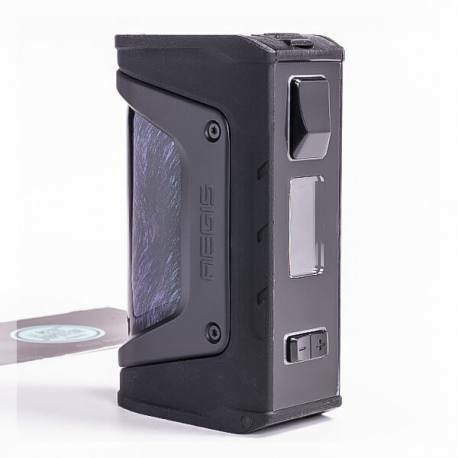 Boosted with the A5 Chipset, the Aegis Legend Box has an output power of 200Watts. Despite a good size, the Aegis Legend remains ergonomic with a design which has been cared for and an agreeable vape. 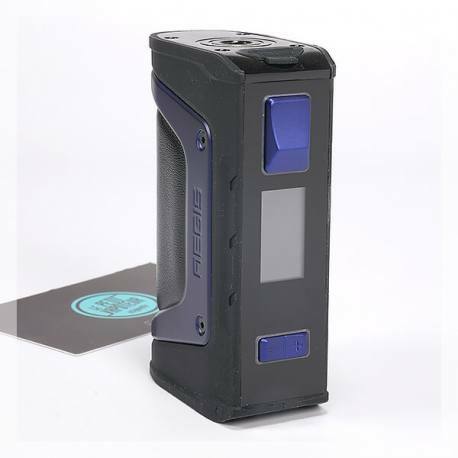 The Aegis Legend 200W TC Box is waterproof (IP67,30 minutes up to 1M in depth), resistive to dust and shocks, this mod uses 6 different materials. 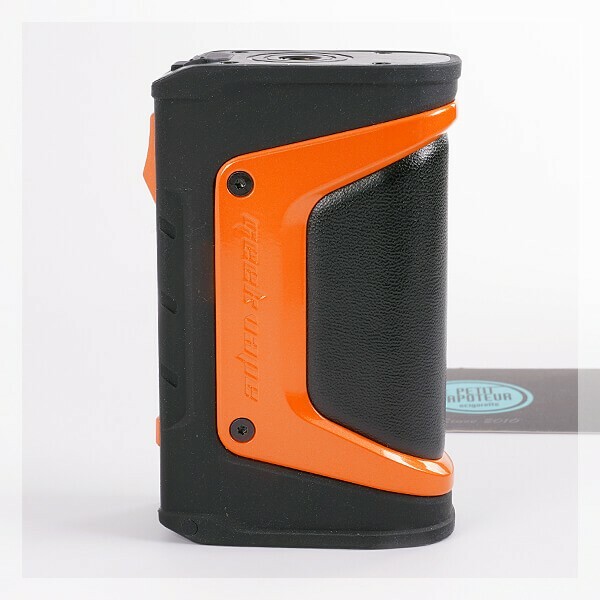 A Stainless-Steel Frame, Zinc Alloys, Molded Aluminium under pressure, Carbon 40hrc, Silicone LSR and Leather. Enough to have adventures with and the unforeseen. 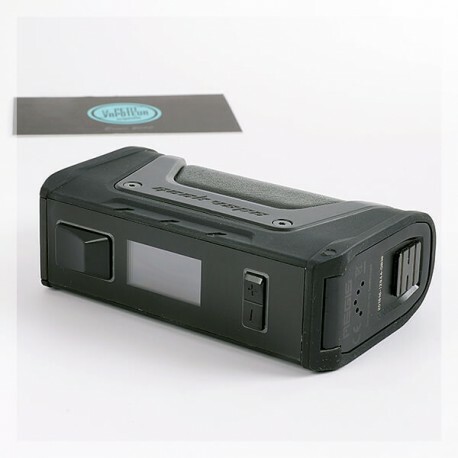 The Aegis Legend 200W TC Box preserves the "wrist" form of its elder but with the space to to welcome 2 batteries (non-included), it remains very ergonomic and comfortable in the hand. 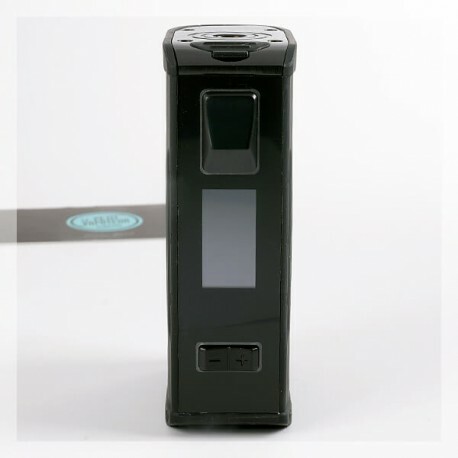 The USB Connection is more accessible and allows or practice updates with the AS Micro software, but to also recharge the box. 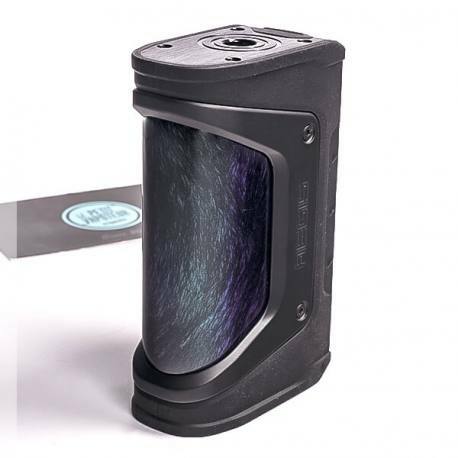 With the Aegis Legend 200W TC Box assures the maximum output of 200 Watts, with numerous modes like Temperature Control, or TCR, Bypass etc... With the knowledge of coils from 0.05 ohms an 3.0 ohms. 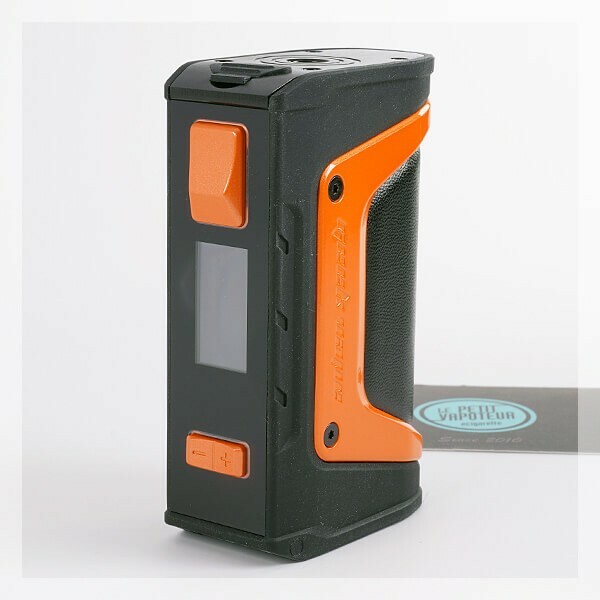 It equally handles the excellent screen which is readable, like all the other boxes, protection against shocks. 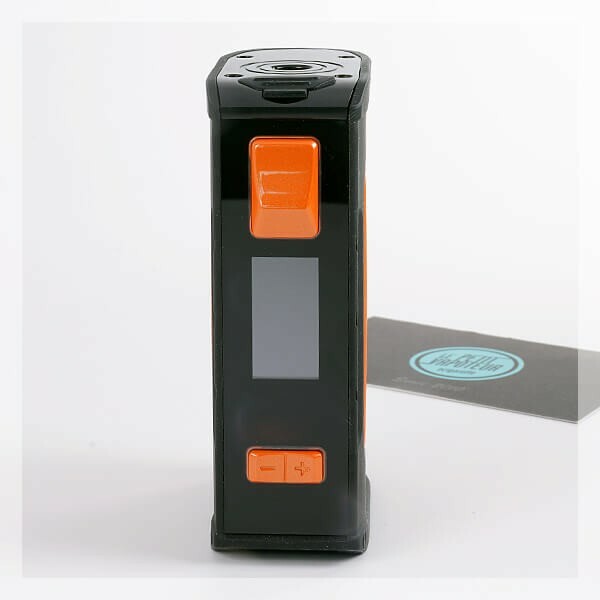 Tres bonne box.agreable a utiliser,prise en main facile et rapide,plusieur fonction sympathique en plus de mode classique comme le by pass et le mode programme .de plus la box est étanche et anto choc,ce qui est très pratique pour le travail.